Good morning! Welcome to Partaker’s Think Spot. I am Regina from South Carolina in the United States. It is my honor and privilege to be here with you this morning. I thank you for taking your time to be with us. As I close this morning, I would just like to ask you, where do you stand with serving others? Do you have a lot of friends? Do you offer your services to them? Maybe you’re in business and you provide a service for your customers. Or you’re in a church that you do some work for...there are a lot of avenues that we can serve others, even telephone ministry is providing service to another. It’s giving them a call letting them know that you are thinking about them. For some it’s easy, they just have a servant’s heart so it’s easy for them to give of themselves to another. For others it’s not so easy. But it’s something that we work for because we know that it is something that delights God. Let’s bow our heads: Father I thank you for the message that you have provided this morning. I thank you for explaining to us the importance of being a servant. I thank you that we have the opportunity to serve someone else. I pray that we count it as a privilege and an honor and that we realize that it brings glory and honor to you. Father, when we have a difficult time serving someone or when we just don’t feel like we are in the mood to do it that day, I just pray the Holy Spirit comes and speaks to us and gently nudges us and that we continue in that servant’s walk that You have brought us to. I thank you for each one that is listening this morning because that means that they chose to set aside some time to hear your word. And I pray that this word encourages them and if they haven’t been serving others, if they just felt like they were too busy then I pray that they will find time, 5 minutes here or there, 10 minutes here or there; whatever it takes; whatever You desire for them to do, Lord, impress it upon them. May Your will be done. I ask that you bless each one this week, bless them abundantly and may they have an abundant life, an abundant life which serves others. Father, I just thank you. I just come to you with a heart of gratitude for this opportunity, for being a part of Partakers. And I ask you to bless Brother Dave as he puts all of this together and he encourages each of us along. I just thank you, Lord. I thank you for the tremendous blessings for the doors you are opening for this ministry. I just pray that the harvest comes in for you. That you are blessed through all of this. And father, I just ask you now to hear our prayers and answer our prayers so that all may know that YOU ARE GOD. And I ask you now, father, to just love on us, just love on us a little bit more. Blessed are you, Adonai, God who hears and answers our prayers. Blessed are you, Adonai, who gives us the opportunity to serve others and serve you. Blessed are you, Adonai, God who provides for all of us. Amen. Thank you for being with us today. I pray that you will come back each day this week and be blessed by a new message and may this help carry you through your week. Make your week much more meaningful, much more successful, and help you to be a blessing to others in the process. Thank you again. Good bye. Luke, probably guided by Paul’s memories of what happened, sees the teaching and death of Stephen as a major turning point in the progress of the Gospel. To this point opposition has come from the ruling classes in Jerusalem; the common people had approved of what was happening. From here on the believers lost the support of everybody. 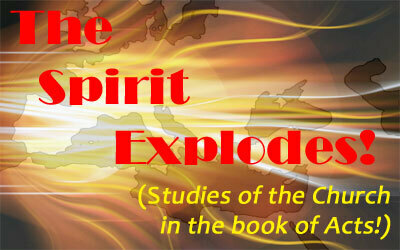 Consequently the focus of the Gospel is about to move outside Jerusalem. First: the background in Acts6:1–7. The “Grecian Jews” of the NIV probably means Greek speaking Jews who had retired to Jerusalem mainly in order to die there; “Hebraic Jews” probably means long term Aramaic speaking residents of the city. Each would have worshipped in a synagogue where their most familiar language was spoken. When some of each became Christian tensions arose. The seven chosen men are often called deacons but only because the Greek word for “waiting on tables” is diakonia. Their responsibilities do not match those described in the later NT letters. However we can learn useful lessons from them. Question 1:	What were the criteria for choosing the seven? Can we relate these to our situation? All seven names are Greek. What does that tell us about the principles used in the fellowship? They were chosen purely on the basis of their spiritual depth. I don’t know what happens where you are but all too often men and women are chosen for positions in the church on the basis of their practical qualifications. Their spirituality is the least of the attributes considered. That all of them were Greek speaking suggests that great care was taken to resolve the problems as quickly as possible. In Acts 6:8 – 7:1, which outline the nature of the problem, Stephen faced. The troubles started in one particularly radical synagogue, the Synagogue of the Freedmen. This included some from Cilicia, which is where Paul came from so he was probably a member of this meeting. Now we come to the long speech of Stephen, the longest in the book of Acts. It is not at all easy to see how what he said related to the charges against him, and what upset them so much and caused him to be lynched, so I will interrupt my wife’s reading of the speech as we go along to try and explain it. Stephen starts his speech by referring back to God’s promise to Abraham. What he says is standard Jewish thinking and quite unobjectionable, but he is starting to emphasise the way that Abraham had no firm roots in any place. Read Acts 7:2 – 8. Isaac and Jacob were uninteresting to Stephen because they had secure roots in Israel. So he moves on to Joseph who did not have secure roots. He also points out that Joseph was rejected by those who should have supported him, his brothers. Read Acts 7:9 – 19. Next comes Moses, again a wanderer on the face of the earth, as Stephen is careful to emphasise. He also emphasises that Moses too suffered rejection by his own people on more than one occasion. He continues to trace the history of his people beginning to emphasise the tabernacle as the place where God dwelt. Although David enjoyed God’s favour he did not get building the temple. Read Acts 7:44 – 47. 2)	many of these true prophets of old had been rejected by the people, as Jesus was. They, his hearers, had acted wrongly, but that was nothing new. Read Acts 7:48 – 53. He was not exactly diplomatic in the way he put it! The reaction was overwhelming. The veiled argument behind the history is that God is not limited to any one place, in particular the temple. He is therefore not under the control of the Sanhedrin. Their power is finished. The true next step in the purposes of God is with Jesus and his people. Read Acts 7:54 – 8: 1a. Question 2: What are the practical implications today of there being no particular place where the Lord is to be worshipped? In what ways do people wrongly contradict that fact? Cathedrals, and the like, can be wonderful places but they don’t really fit into the scene Stephen paints. The idea that the temple in Jerusalem should be rebuilt, as advocated by some people, also falls before Stephen’s argument. It doesn’t matter where we gather and worship. The important things are gathering and worshiping. Question 3:	Stephen was obviously a vigorous personality who was not prepared to keep quiet, even if he was also full of the Holy Spirit! Such people are not always comfortable to live with. What place should such people have in the present day church? There ought to be room for every personality type in every fellowship. It is important that the leadership of every group uses to the full the best attributes of everyone while curbing their less useful attributes, whether that be making too much noise or too little! Probably it was when Stephen said that he saw the Son of Man standing at the right hand of God that his fate was sealed. Jesus said something similar when he said that the Son of Man would be seated at the right hand of God and that was the point at which they decided to kill him. Both were referring to Daniel 7 where one like a Son of Man approached the Ancient of Days and was given authority, glory and sovereign power. Question 4:	Why were these statements taken so amiss? These were the clearest possible statements that Jesus was the Messiah and that he would be given the authority and power they (the members of the Sanhedrin) so much enjoyed. Beware the love of power! And so the purposes of God were fulfilled in the persecution and scattering of the church. WOW Word 53 - New Nature! Today, Alphy the WOWChurch cat shares with us about our New Nature - what it is, what it is not, who, why, where? 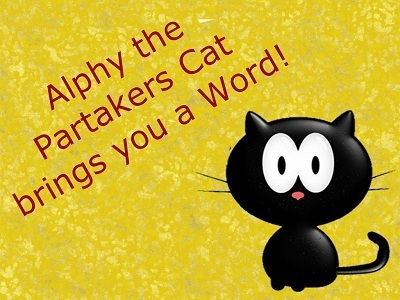 Come see and hear Alphy the WOWChurch Cat explain more!! “What shall we say, then? Shall we go on sinning, so that grace may increase? By no means! We are those who have died to sin; how can we live in it any longer? Or don’t you know that all of us who were baptised into Christ Jesus were baptised into his death? We were therefore buried with him through baptism into death in order that, just as Christ was raised from the dead through the glory of the Father, we too may live a new life. our God, until he has mercy on us. Good Morning! Welcome to Partaker’s Think Spot! I am Regina. 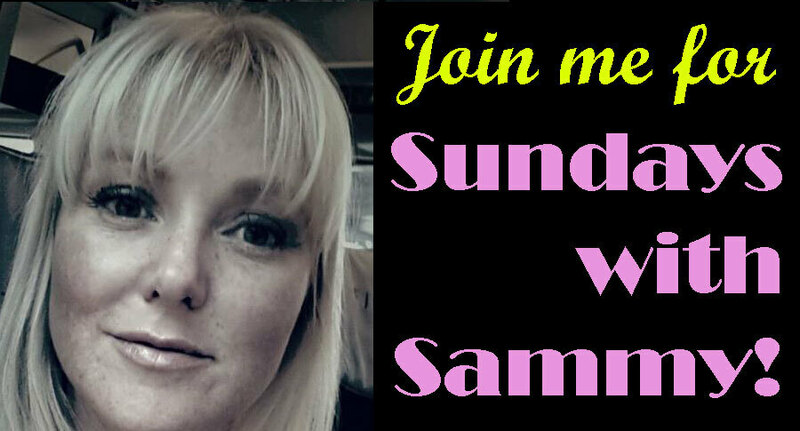 I will be your host for today and I am from South Carolina in the United States. I would like to bring you a warm, humble welcome and thank you for being with us. Receiving from God in faith the answer with perfect assurance that it has been given, is not necessarily the possession of the gift we have asked for. At times there may be a long interval before we have it physically. In other cases we may enjoy at once what we have received. When the interval is long we have need of faith and patience. We need faith to rejoice in the assurance of the answer bestowed and to begin to act upon that answer though for the present there is no visible proof of its presence. We can apply this principle to our prayer for the power to be faithful intercessors. Hold fast to the divine assurance that as surely as we believe, we receive. Rejoice in the certainty of an answered prayer. The more we praise God for it, the sooner will the experience come. We may begin at once to pray for others and the confidence grace will be given to us to pray with more perseverance and more faith than we have done before. If we do not find an immediate increase in our desire to pray, this must not discourage us. We have accepted a spiritual gift by faith; in that faith we are to pray, doubting nothing. We may count upon the Holy Spirit to pray in us, even though it is with groanings which cannot find expression. In due time we shall become conscious of His presence and power. Wow, what a message! We continue to pray even though we may not see it, we may not know the length of time that it is going to take for us to receive it, but we pray, we consistently pray, we persevere and we believe; and we go ahead and thank God for it. "Thank you, Father for the blessings that you are giving us! Right now, thank you for answering our prayer!" And you know, He is going to answer it! Remember there are creation power in your thoughts and your words! So, don’t allow that doubt to creep in. Don’t allow it to steal your blessing, to steal your gift from God, to steal your abundant life. When that inner mean voice starts talking to you and trying to put doubt in your head just tell it to go away that you are only listening to the Holy Spirit. Pray and ask God to quiet that inner mean voice and to let his Holy Spirit speak more loudly to you, more clearly to you than you have ever heard before. He will do that. He will allow you to hear Him, to know He is there with you. I pray that as you move forward this week that you are blessed. I pray that you pray often, if not for yourself then for others but also include yourself. I pray that you have a week of peace, a week of solitude with God, just one on one time with Him. Maybe you can’t do it for the whole week, every second of every day, but you can have your quiet time with Him in the morning or the evening or whenever you do it. Take that time and as you pray, don’t forget to be quiet and listen and allow Him to speak to you during that time. Let’s close now in prayer. Father, I thank you for each one that has come out to be with us this morning, that’s turned us on on their computers. That’s taken the time to receive this word. And I just ask you to bless them in an abundant way. Allow them to feel your presence. Allow them to hear your voice and know without a doubt that it is you speaking to them. I ask you to bring clarity of mind, Lord, and to unplug their ears so that they are able to hear you clearly. I ask you to prompt them and encourage them to pray for others for that is what we are called to do and that is one way that we can love our neighbor as ourself is to pray for them. In Jesus name I pray and ask these things. Amen. 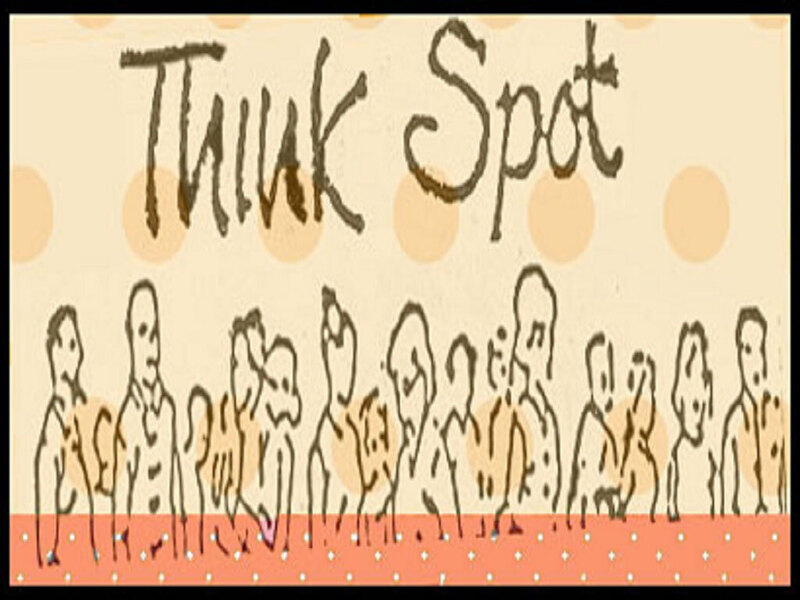 Thank you for joining Partaker’s Think Spot. If you have Twitter, Facebook, Google+, any of the social media share us with them as well. Until next time, this is Regina, have a blessed week! I pray that you will come back tomorrow and each day this week, and be blessed by the wonderful words that are brought to you. Have a good week. The infant church begins to struggle with both internal problems and external ones. It is rather amazing that Luke tells us about some of the more difficult events. He clearly had a purpose in doing so. We will think about that in a few minutes. We have already commented on the problems of this sort of living. Barnabas, who is going to figure prominently in the expansion of the church, is mentioned with clear approval of what he did. There were huge differences of wealth between the landowners and the working people in those days and this is clearly a comment about how those differences should be overcome within the fellowship of the church. It also highlights the problem that we read about now in Acts 5:1–11. Question 1:	What exactly did Ananias and Sapphira do wrong? Why was the punishment so harsh? Christians probably do worse things these days. Why are similar punishments not visited upon the offenders? Ananias was entitled to keep his land if he wished or to use the money from the sale as he wished. Presumably therefore he lied about what he was doing, saying he was giving all the money to the church when he wasn’t, keeping some of it for himself. Peter did not actually punish him; he “heard this, fell down and died”. There will have been a heightened atmosphere in those very early days when everything that happened was new, different and setting a pattern for the future. We (fortunately!) do not live in such extraordinary days so are not subject to such extreme reactions. Question 2:	Sapphira chose solidarity with her husband over solidarity with the Lord and his people. What are the rights and wrongs in what she did? She had no way out when she was confronted with the accusation. Loyalty to a spouse is important, but she could only be loyal with further lies. Her mistake, her sin, was to agree with him to tell a false story about what they were doing in the first place. Question 3:	What was Luke’s motive in including this account 40 years after the events recorded when he could so easily have chosen to highlight other more positive events? The essential honesty of the Biblical account shines through Luke’s writing. Also there is a strong warning here that we should be honest in all things. Question 4:	Acts5:13 “no one dared join them” and the next verse “more men and women were added to their number” seem to be saying two contradictory things. What can they mean? This draws a clear distinction between those who had a vague interest in what was going on and those who were prepared to commit themselves whole heartedly to participation in the infant fellowship of those following Jesus. There is a message here for everyone who hears or reads this. Are you vaguely interested, or prepared to follow Jesus? One or the other. You cannot have both. Read Acts 5: 17 – 32. These verses record the first of three occasions in Acts when the apostles were able to walk out of prison. Luke emphasises by repetition again. Question 5: Apart from a record of the facts what does Luke want us to understand as the significance of what happened? God is in control however much appearances seem to suggest otherwise. The prison is an image of the world’s hostility to God’s purpose but is eventually powerless. The apostle’s return to teaching epitomizes the unstoppable nature of the Gospel. Question 6:	Where should we follow what we read here; where the teaching of the verses from Romans? The general principle is in the verses from Romans. But if what the authorities demand is plainly contrary to the Will and Word of God then we have a responsibility to react as the apostles did. The Good News of Jesus did not stop as Gamaliel presumably thought it would. And it will not stop until Jesus returns at the end of the ages. Note the thread of humility that runs through the actions of the apostles. They were surrounded by such an aura of spiritual power that within a shadow’s length people were healed; they taught; they were flogged; they did not stop. Most of us do not suffer and we do not want to suffer “for the Name”. Yet if we must we must. And we honour those who inescapably do. Today, Alphy the WOWChurch cat shares with us about Justification - what it is, what it is not, who, why, where? Come see and hear Alphy the WOWChurch Cat explain more!! Praise Yahweh, my soul! All that is within me, praise his holy name! who redeems your life from destruction; who crowns you with loving kindness and tender mercies; who satisfies your desire with good things, so that your youth is renewed like the eagle's. Yahweh executes righteous acts, and justice for all who are oppressed. He made known his ways to Moses, his deeds to the children of Israel. Yahweh is merciful and gracious, slow to anger, and abundant in loving kindness. He will not always accuse; neither will he stay angry forever. He has not dealt with us according to our sins, nor repaid us for our iniquities. For he knows how we are made. He remembers that we are dust. For the wind passes over it, and it is gone. Its place remembers it no more. to those who keep his covenant, to those who remember to obey his precepts. Praise Yahweh, you angels of his, who are mighty in strength, who fulfill his word, obeying the voice of his word. Praise Yahweh, all you armies of his, you servants of his, who do his pleasure. Praise Yahweh, all you works of his, in all places of his dominion. This morning let’s look at 1 Samuel 12:23 "Moreover, as for me, far be it from me that I should sin against the LORD by ceasing to pray for you; but I will instruct you in the good and right way"erse 11. They say that when something is going on in your life then you see it EVERYWHERE. The car you bought because you had rarely seen one in that colour is suddenly parked everywhere you go. Everyone else is having a baby it would seem to the couple struggling to conceive. You hear nothing but the bright future of the school you have just decided to take your child from early as you thought there was a better chance for them elsewhere! The list is pretty endless. Personally for me, it’s a word or phrase at the moment and that is…calling. During Intercessional Prayers on Sunday the person was asking for prayers of those exploring vocation to the priesthood – ‘woah that’s me!’ I thought. In a home group yesterday, Brian Wilson from HIllsong said, ‘You must walk worthy of the calling for what YOU are called.’ Again, I wondered if he was talking directly to me. Of course he wasn’t, but my mind is tuned to that word and turn of phrase at the moment due to my circumstances. Now, something that effects every single one of us at the moment is potholes! Whether you drive and need to avoid them, or you don’t and walk around praying that the cars avoid the ones still filled with water. I have to admit, and this won’t be the last time you hear this from me, but I have an immense respect for St Paul. Not only because of the way he continuously admitted what he had done wrong – not to get forgiveness after forgiveness, because I hope you know that when you ask God with all sincerity for His forgiveness and Grace you get it, and you don’t then need to feel any guilt about what you have been forgiven for. You must not, however, go and do it again. As I wrote last week when Jesus dismissed the adulterous woman he said, ‘Go, and sin no more’. Paul’s main writings in the Bible are his letters to various Churches in Christendom. Paul set up the church of Ephesus as described in Acts 19 and its urgency in his detailed explanations of that congregation’s relationship with Jesus Christ could be due to it having been written not long before his death around AD62. Let’s have a look. So in his typical style he starts with a firm instruction. Get going you lot! Stop messing around, you know what to do, what are you waiting for? If I get out of here, I’m going to come over there and give you a good shake!! But I can’t so you’ll have to read my words and do as you’re told – through me – by Christ Jesus. Paul never took any credit for his work, he always said it was the work of our saviour Jesus he did. Paul also talked in verse 3 about being quick to mend fences. This is hugely important, and as Christians we must take the initiative. I speak from very recent experience when I say you WILL be nervous, you will want to back out, and yes, you may have the door slammed in your face, you might even be verbally abused, but God knows you did it for the right reasons and He loves you all the more for it. Also, as was in my case this week, you might not get the door slammed in your face, in which case you have a win-win scenario. But what, you are thinking, does this have to do with potholes?? Well. Not much to be honest, but we do have them in common and probably will do for a while yet! However, everything, as we’ve discussed previously happens for a reason, and when I stopped the car earlier today to avoid a rather large pothole I looked to my right and saw a minutes old new born lamb taking its first tentative, wobbly steps. Had I been driving I would have missed that sight. That wonderful sign that Spring is on her way, that through all the trials and tribulations, rain and darkness, there is new life springing forward, new hope is on the horizon…and together, in oneness, with our heads held high (being careful if we’re running of course) we can all reach the goal that Paul talks of, through commitment to God and in loving one another. The road is the same, the potholes may make us stumble, but by wearing the whole armour of God we may be able to stand against the wiles of the Devil! Luke now records the beginnings of opposition from the authorities. He probably wrote Acts sometime in the late AD 70s or early AD 80s, that is after the first wave of persecution of the early church under emperor Nero in the AD 60s. Theophilus may have been concerned about the legality of the Christian witness and about the levels of opposition it had aroused. So Luke is intent on showing that these problems had arisen unfairly and how they were handled by the early church under the guidance of the Holy Spirit. The most important part of this passage is Peter’s speech to the court of the Sanhedrin. Luke has a habit of emphasising a particular event by giving 3 accounts of it. So he tells us about Paul’s conversion 3 times in chapters 9, 22 and 26. He tells us about the dream of Peter that led to the admission of Gentiles into the church 3 times in chapters 10 and 11. Here he records 3 very similar speeches of Peter’s, of which this is the third. Question 1: What things has Luke emphasised by recording them 3 times in these speeches? Each time he mentions the crucifixion of Jesus and blames the people listening to him for it – very true but perhaps not the most diplomatic thing to say. He then emphasises the resurrection, each time using exactly the same phrase ‘God raised him from the dead’. As we have noted before this is a challenge to disprove the resurrection by proving that it did not happen – a challenge which was never met. 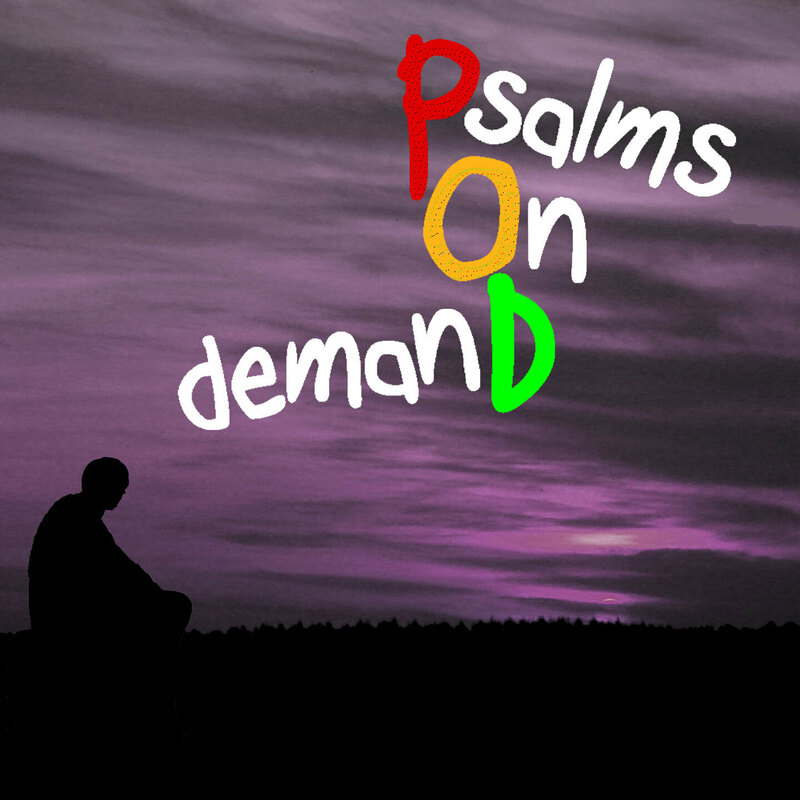 Peter continues with a quotation from Psalm 118: 22 which is often used in the NT. No one is quite sure what the word used means. It is either the ‘capstone’, the stone at the top centre of an arch which holds it all together, or a cornerstone, a foundation stone which is the fundamental starting point for the whole building. When the quotation is associated with the idea of stumbling it is presumably a cornerstone that is in mind. He then sharpens the situation with his next statement that there is ‘no other way to be saved’. Question 2: By many modern standards that is an incredibly wrong thing to say, suggesting that there is no other way to salvation and heaven. How can we justify what they said? There can only be one creator God. If indeed he has raised Jesus from the dead Jesus is in a unique position in all history, making his claims those that must be heard. The members of the council were astonished by the clearly stated and well presented arguments of Peter and John when they were reckoned to be “unschooled, ordinary men”. Question 3: How and why were they able to be so effective? What can we learn from the answers to that question? Two reasons: they had the help of the Holy Spirit. Jesus had told them ‘When you are brought before synagogues, rulers and authorities, do not worry about how you will defend yourselves or what you will say, for the Holy Spirit will teach you at that time what you should say.’ Luke 12:11 - 12. Secondly they had had an extended seminar with Jesus in the chair for 3 years. No wonder they knew how to argue! We too can rely on the Holy Spirit in times of stress. We too can study with Jesus through reading and study of the Bible as the Word of God. The authorities could not deny the good that had been done in the name of Jesus Christ – the healed man was standing in front of them. But they didn’t want to hear about why it had been done. Many authorities since have been happy to have the good works of the Christian church but have not wanted to hear about why they had been done. Question 4: Think about where and why that has been done in your situation. Obviously I cannot provide any help on the answers to this question. And may the Lord be with you if you ever have to repeat those words. We now read Luke 4:23–31. Question 5: Why did they pray for boldness of speech and not for the opposition to stop? Notice how their prayer was answered with a directness and immediacy we will probably seldom experience. Question 6: Does this arise from what are probably the sharp differences between their prayer and the sort of prayers we probably usually pray, or what? I don’t know about you but mine tend to be much more self-centred and much more concerned with my comfort than theirs was, so the answer is probably ‘yes’! What about you?